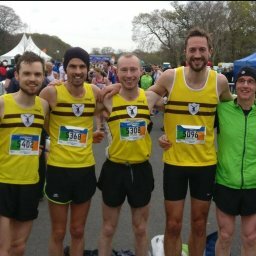 This was a very quiet week on the racing front but those that participated performed well in their club colours. In addition to the parks, from the road to the hills, the stags were there in much cooler temperatures than we’ve all experienced in recent weeks. A fantastic podium place for Vernon Shiels in this. 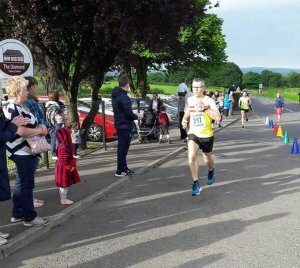 The Ballymena Runners’ course was undulating with a tough uphill start as well as an uphill finish thrown for good measure! Congratulations on a time of 17:39 and 2nd place! 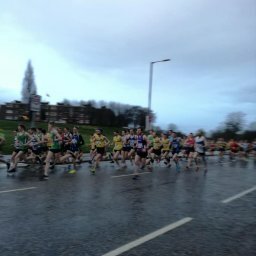 On Thursday evening Springwell Runners hosted the wonderfully-named ‘Boom’ 10K Road Race. The Boom Cancer Foundation was set up in memory of Philip Wilson who lost his ten-year battle with sarcoma in 2013. The Springwell RC treasurer Alison Rankin has organised the annual event for the last five years and funds raised go to this excellent cause. 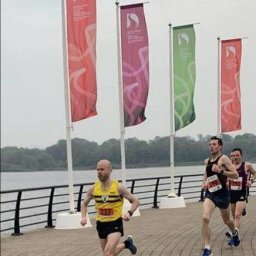 Congratulations to Kent Swann who completed the course in 35:33, taking 5th position. The Newcastle AC series continued this week with the penultimate race. The Meels did not disappoint and these particular hills and dales were the course route for over 200 runners. A great performance from NBH Colin Simpson. 52 North Belfast Harriers attended 9 different parkruns this week. The nearby Waterworks being the best represented (although no photographer this week!) whilst the Jamaica Pond Parkrun in Boston was attended by both Philip McIlwrath and Rosy Ryan this week! Congratulations to the 7 PB recipients, 6 of which were recorded at Waterworks and 1 in Boston. No jet lag there then! Well done everyone.